Very soon, hundreds of hectares of farmland, one of Europe’s finest rivers for mountain and white water sports and one of the continent’s oldest railway lines will be flooded by the Foz Tua dam, a dam, which nobody wants but everybody will have to pay for. 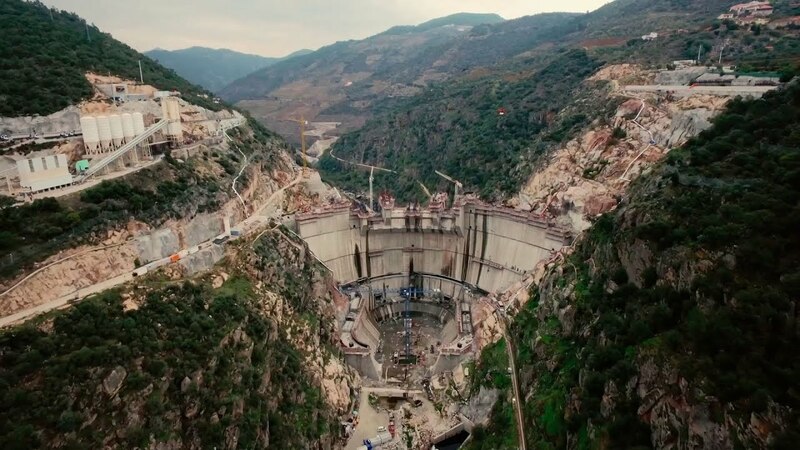 This short video is an additional attempt to stop the construction of this 108-metre-high concrete dam in the Tua river, a tributary of the Douro in Portugal. The dam is located in the Alto Douro Wine region, where the world famous port wine is produced. The unique landscapes and history of the region led to its classification as World Heritage site by UNESCO in 2001. The video illustrates some of the impacts of the dam on local livelihoods and ecologies, and invites to sign a petition calling on UNESCO to act to safeguard the Alto Douro patrimony. The Foz Tua dam will inundate 400 hectares of olive groves, vineyards and cork oaks, as well protected habitats. It will also de-characterize the valley of Tua, whose scenic qualities could be until recently fully enjoyed by the Tua mountain railway, built in the late 19th century. This 134-kilometers railway that once connected the people’s of the Douro to the national railway system now only has 16 kilometers working. After decades of public desinvestment, which resulted in obscure accidents, the railway was finally interrupted due to the dam. Tua railway line. Photo by António Fernandes. The construction of the dam and the closure of the Tua railway line have been highly contested on local and national levels. 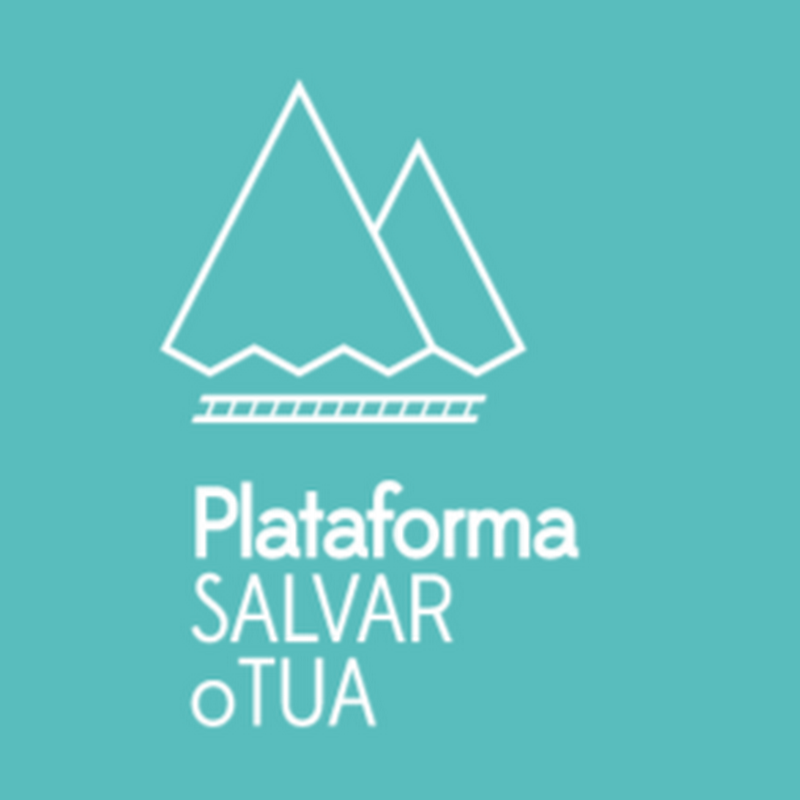 Environmentalist organizations and local movements formed the “Save the Tua Platform“, which over the years has led several protests, legal battles, public awareness campaigns, etc. For some time the topic was hotly debated in the national parliament and mass-media. Documentaries about it, such as the touching Pare, Escute e Olhe! have been awarded nationally and internationally. In public debates issues such as energy, development and ultimately democracy were raised. The dam is part of the “National Plan of Dams”, launched in 2007 by the previous center-left government as part of its policy of promoting renewable energy, reducing greenhouse gases emissions and dependency on external energy. The Plan foresees the construction of 10 large dams (only 7 were finally approved) to supplement wind turbines. Its construction and management will be handed over to energy corporations for the life-time of a generation. The Foz Tua dam is the first dam under construction, and is predicted to open during this year. It is expected to generate only 0.1% of total national energy consumption, 0.5% of the energy produced in the country. Its benefits are clearly minimal, compared to the huge economic and environmental costs, not to speak of the impact it will have on the region. Alto Douro Wine Region, UNESCO World Heritage. Photo by Maria Antónia Guedes. The Tua dam was “sold” to the region as being a part of “development”. Located in an interior, predominantly rural area, the region is one of the poorest in the country and mostly forgotten by political powers (the richest and most urbanized regions are located in the coastal areas, where most of the population lives). Over the years the region has suffered from isolation, (e)migration, and an aging population. In such a context, the promises of development and job creation are easy arguments for governments and investors. “What we need here is cement”, were the unfortunate words of the ex-prime minister in charge of the Plan during a visit to the construction site, together with the president of the energy company. However, the local population does not stand to gain from the dam. The protest movement argues that the dam kills local development opportunities, such as those associated with wine production, low intensity tourism, outdoor sports, and other activities embedded in the territory, which benefit the local population. But when numbers, money and the “national interest” speak louder, regions like Douro are likely run over by development-as-usual. Foz Tua Dam. Source: youtube.com. Visit www.lastdaysoftua.com to support the campaign, to send an email to UNESCO and to help protect the Tua and the Alto Douro region before it is no longer. Follow the campaign on facebook (#savetua) and twitter (#savetua). ← ¡El Buen Vivir es para todos y todas, o no lo es!